Saturday looms as a potential red-letter day for Hartpury who go into their home fixture with Old Albanian knowing that a win of any kind, with or without a bonus point, will result in them being crowned as National One champions. Of the chasing pack, now only Plymouth can mathematically overhaul the points total already achieved by Hartpury and even that possibility will disappear with a home victory this week. Given that three of their remaining six games are at home against mid- to lower-table teams, it is understandable that, with a large part of the job done, Hartpury have their sights set on an even more remarkable achievement. “The league has become something different now and I think we feel comfortable that we’ll get the points we need, whether we win this game or we win something down the line,” said Director of Rugby, John Barnes. “Our focus now is on remaining unbeaten and achieving something fairly unique, certainly at this level”, he said. 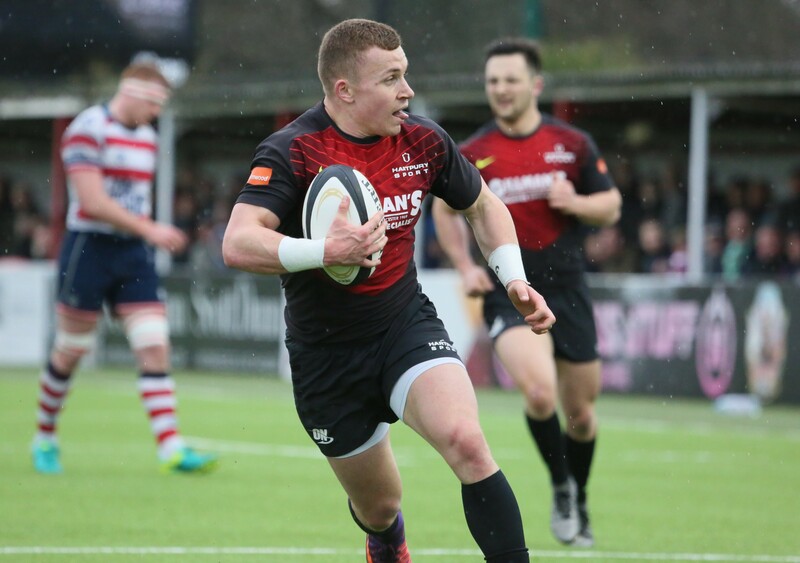 While Hartpury have enjoyed some pretty emphatic results this season, particularly at home, they were pushed very hard in their last outing at Rosslyn Park, where only a late converted try from dynamic scrum half Ben Vellacott, completing his hat-trick, eventually made the game safe at 28-36. “It was a good result at a place where had not won before and against a team who have always made life difficult for us,” said Barnes. Old Albanian come into this weekend’s fixture lying eighth in the table and with some good recent performances under their belt, including a 36-10 victory over a fading Blackheath last time out. As one of the newly promoted teams this season, a secure mid-table finish is clearly no disgrace. “They are a decent side, they play some good rugby and they are well coached by James Shanahan. He’s leaving them at the end of the season so I’m sure they’ll want to send him off on a good note. Plymouth Albion, meanwhile, face a potentially difficult trip to Birmingham Moseley, where anything less than a win for the visitors will render Hartpury’s result against Albanian as largely academic. Apart from some late-season niggles, Hartpury have no new injury worries and should be able to select from a strong squad for Saturday’s big game, which kicks off at the earlier than usual time of 2pm.